“Why are you going to Poland?” my 96 year old Oma asked my father and I. Going back to the old country, even for a visit held no appeal. Considering what she had gone through in the post-war years in Europe, it was not surprising. 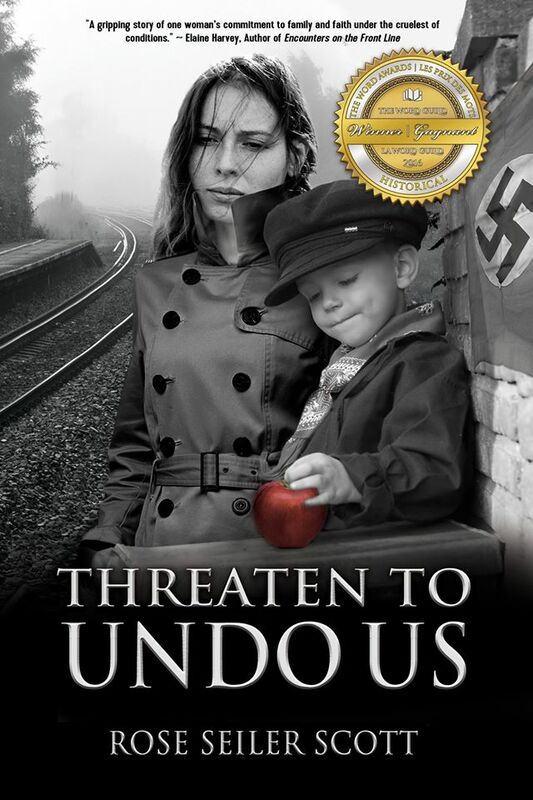 I was well into writing my novel Threaten to Undo Us based on those difficult years and had spent hours reading of the turbid history of Poland and its ethnic minorities. 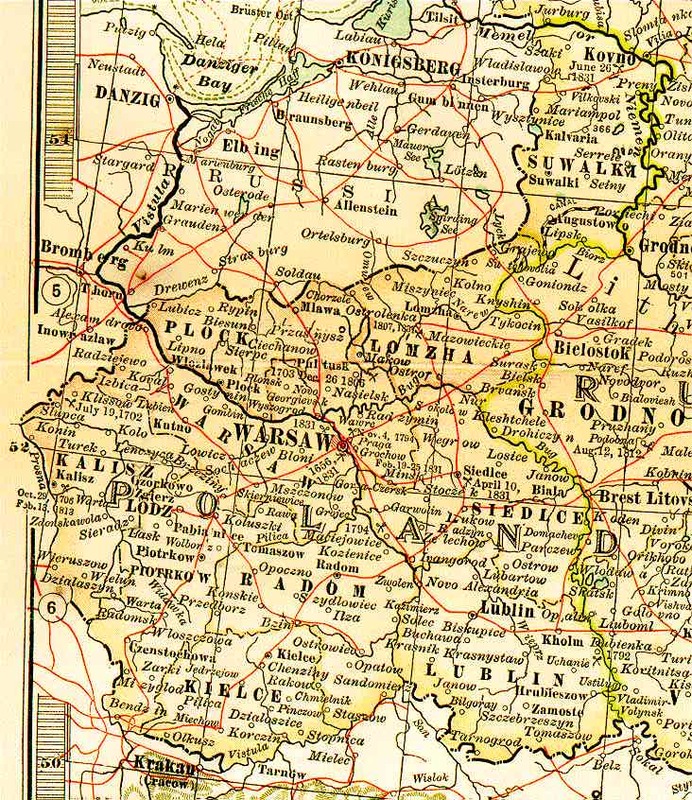 Poring over maps, I searched out elusive villages, but the names have changed. The Poland of history no longer exists and its memory is fading from those who once lived there. Still, I feel the need to go and see what I can learn. Fortunately my parents were seasoned travellers and in good health so I didn’t have a hard time convincing them to come along. My Dad made arrangements to meet up with a cousin in Germany who had been to Poland in recent years and would travel with us. I wondered what I would find. An emerging second world country with impoverished and unemployed people loitering around? Or worse, roving bands of skin-headed criminals ready to steal any vehicle bearing German license plates, such as the one we drove. Based on the cost of the rental, almost equal to purchasing a second hand car, that fear may not have been unfounded. Like disintegrating sepia photographs, my expectations dissolved as we sped past what had been the border, along a newly paved highway adorned with modern billboards, stores and roadside restaurants. In a mere 25 years, Poland has gone from economic oppression to the expansive umbrella of the European Economic Union. Our adventure began with lunch; the same meal we would eat on several occasions: cabbage, pork chops and potatoes. Apparently that hadn’t changed much over the years. The menu would have been indecipherable, except for Dad and E who had brushed up on their long unused Polish. Here I must digress. I find the rhythms and origins of languages fascinating, though I only speak English and a little German. Much to a neighbour’s surprise, I once figured out most of a recipe written in Romanian. I utilized Latin prefixes, Italian music vocabulary, a German word or two and my cereal box French. With a little effort, I assume it shouldn’t be that difficult to decipher the gist of simple written phrases in most European languages. But on this, I am very wrong. Polish has Slavic roots and is related to Russian and Czech, definitely not English, Germanic or Latin languages. The use of the Roman alphabet doesn’t really help English readers when there are six consonants in a row. No clues whatsoever. Regardless, like most Canadian travellers, I determined to learn at least a few words requisite for politeness: Djin dobre (hello), Dziękuję (thank you) and Do widzenia (goodbye). 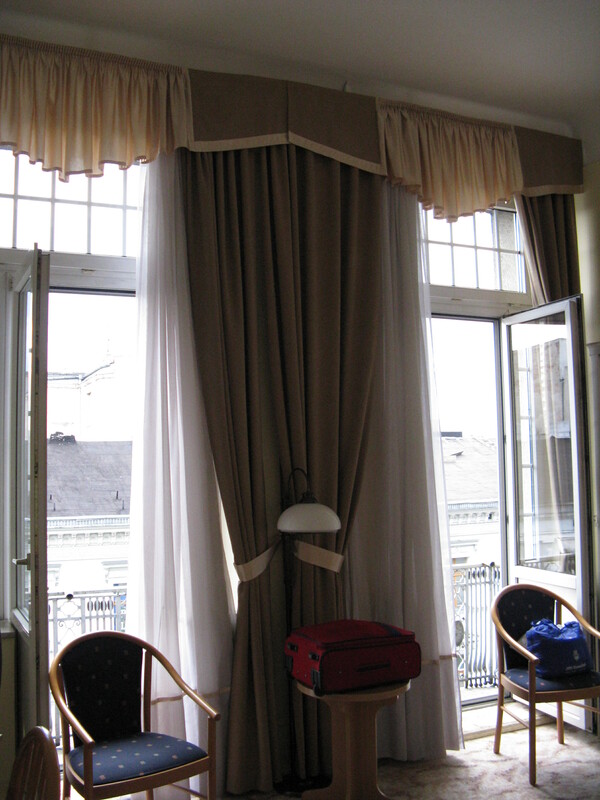 Late in the afternoon we arrived in Łódź, but the sultry German voice on our GPS did not guide us to our hotel. 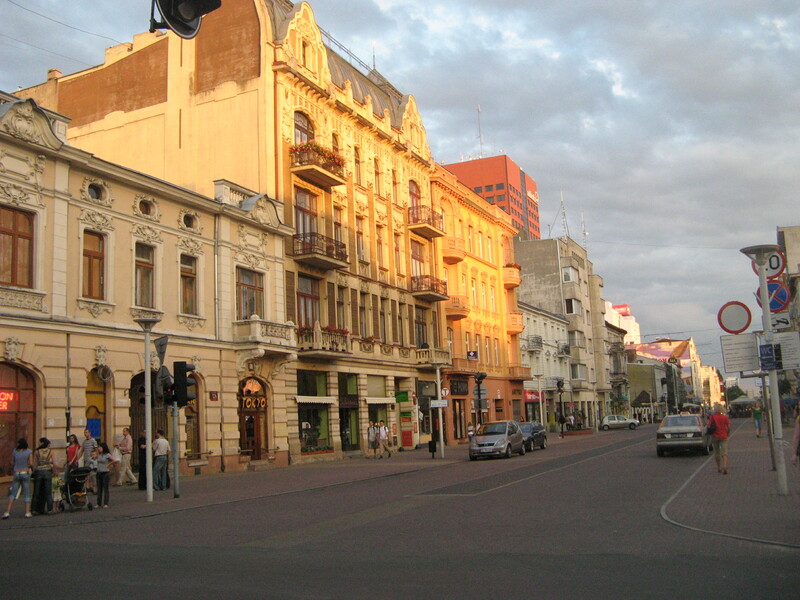 In fact, we could not seem to get onto Piotrokowska street at all and ended up in an area of town where you don’t want to be when you don’t speak the language and your travelling companions are senior citizens. But E. didn’t seem worried. We parked by a newsstand and she got out of the vehicle. In broken Polish she asked the proprietor, a beefy looking guy about six feet tall, for directions. He gestured for us to wait, locked up his kiosk, then came over to the car, insisting that he would ride with us! I quickly sized up the situation and checked the vehicle exits. Let’s see there was me, an unathletic, arthritic forty-something with no weapons, my parents and the cousin, in their sixties and seventies. The only help I could see was from above, so I sent up an urgent request to be returned alive at the appropriate interval to my family at home. In about 3 minutes we were at our destination. Without pulling a knife or gun, the man jumped out of the car. Barely allowing for our hurried “Dziękuję,” he disappeared without even asking for a ride back. The reason the GPS had not led us correctly: Piotrkowska Street is reserved for pedestrians. Should have known that from my research! Like our helpful carjacker, the hotel did not disappoint. 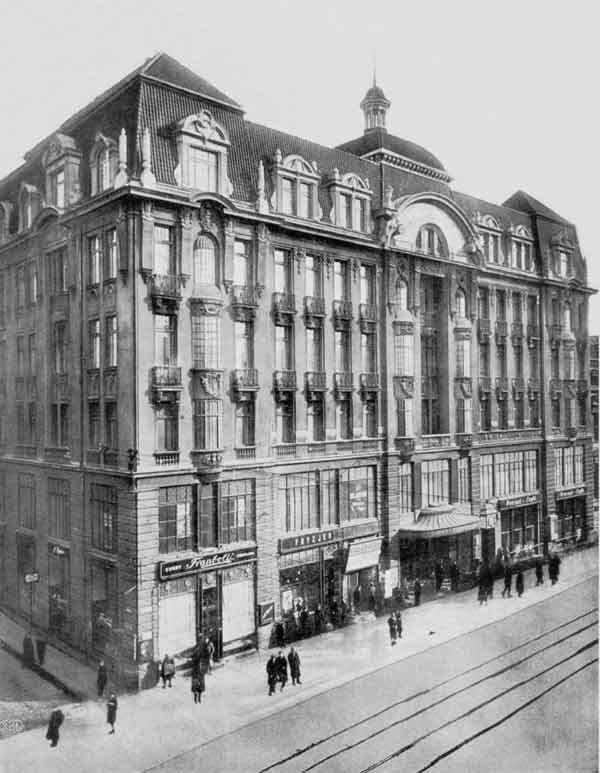 Charming and authentic, the Orbis Grande is over 100 years old, its edifices integral to iconic Piotrkowska street. 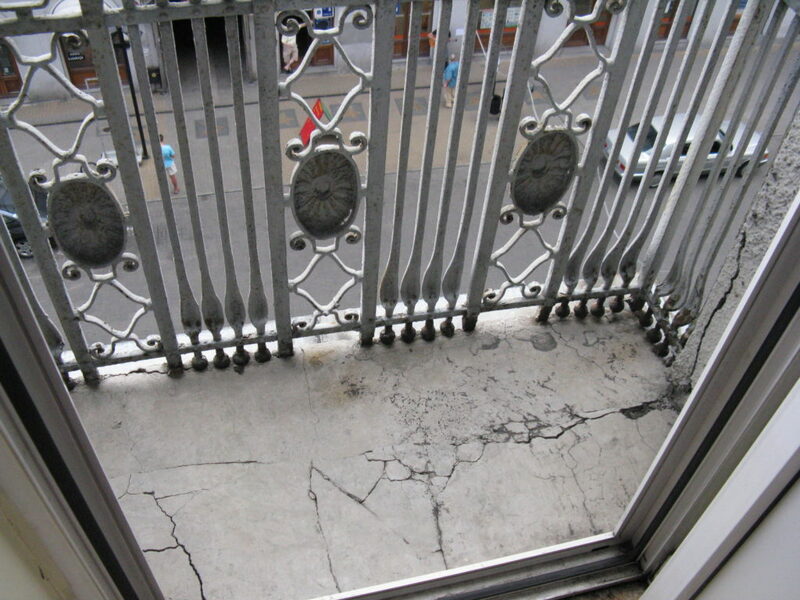 Opening the window, I could look down on the cobblestone street below, however the balcony floor was so fractured, I wasn’t about to step out there. I’d had enough adventure for one day! 2018 note: Comments on this post have been disabled due to spammers.